Far-right leaders Marine Le Pen and Geert Wilders unveiled their newly formed group, Europe of Nations and Freedoms (ENF), at the European Parliament in Brussels on Tuesday (16 June). 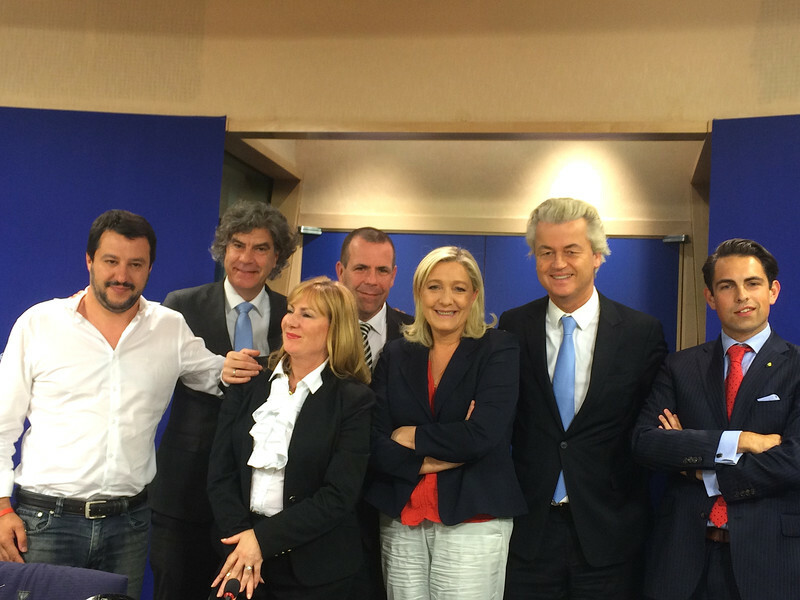 Le Pen will be co-president along with Marcel de Graaff, from Wilders' PVV party. Wilders himself is not an MEP. 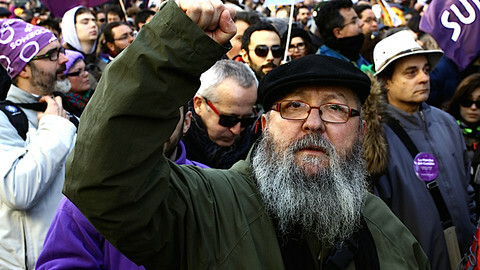 But he told press: “Today is D-Day, today is the beginning of our liberation … We are the voice of the European resistance." Le Pen said the group is "strong, convinced, coherent, and ambitious" and will "fight with all its strength to defend our peoples”. She added that Europe has "nothing to offer" to migrants and that "a concerted dissolution of the euro is the most sensible solution for Europe". 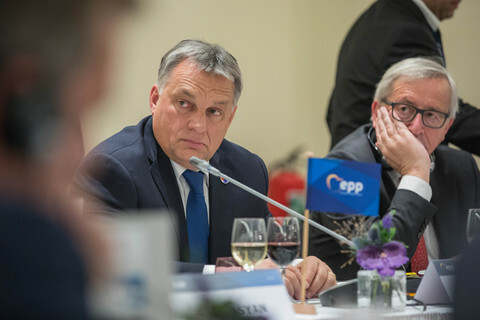 The bulk of the ENF is comprised of MEPs from Le Pen's National Front in France, Wilders' Dutch PVV party, Austria's Freedom Party, Belgium's Vlaams Belang, and Italy's Lega Nord. Under parliament rules, a group must have at least 25 MEPs from seven different states. ENF passed the threshold thanks to Janice Atkinson, a British eurosceptic formerly with Ukip, and two MEPs from Poland's Congress of the New Right: Michal Marusik and Stanislaw Zoltek. With 37 members, it’ll be smaller than the existing eurosceptic group, the 46-strong Europe of Freedom and Direct Democracy (EFDD), led by Britain's Ukip and Italy's 5-Star Movement. National Front founder Jean-Marie Le Pen, Marine Le Pen’s father, who was suspended from his party in May over revisionist remarks, isn’t part of ENF. Marine Le Pen, who leads the biggest French delegation in the EU assembly after her party's victory in last year's European election, had struggled to cobble together a group over the past year. On Tuesday, she ironically thanked parliament president Martin Schulz for his help. "By treating us as second-class MEPs and administratively persecuting us, he gave us a new energy”, she said. The creation of ENF was possible because Marusik and Zoltek were deemed more acceptable after they severed ties with Janusz Korwin-Mikke, their Polish KNP colleague, who had made racist, revisionist, and sexist remarks. It was also possible because Atkinson, who was expelled from Ukip in March over false expenses claims, accepted to join because Jean-Marie Le Pen was excluded. "I'm happy that he was expelled from the party, my decision [to join] was easier”, she told press. 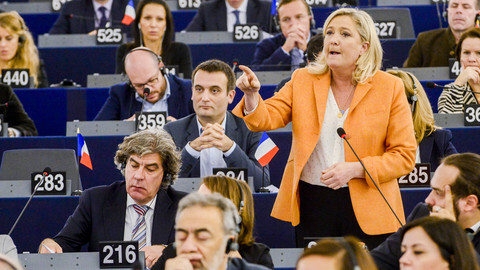 Having a group will give Le Pen and her allies more influence in the EU parliament. 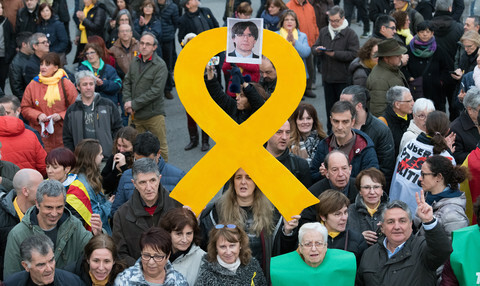 The new group will also receive €1.09 million a year in EU funds to do its work. 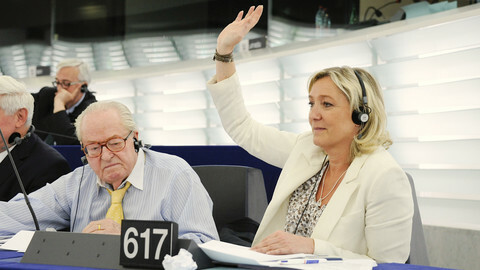 As group leaders, Le Pen and De Graaff will be able to attend the parliament's conference of presidents, which decides the EU parliaments’ agenda. The ENF will also be able to name shadow rapporteurs, the MEPs who monitor the legislative process, and will participate in trilogues, the negotiations between parliament, the European Commission, and member states which finalise new laws. It means that ENF deputies will have more access to information and more leverage on decisions than if they had remained non-attached MEPs. 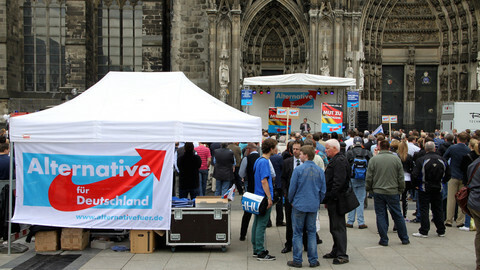 But previous attempts by far-right deputies to form groups have fallen foul of internal divisions. "We will disagree, but we have more in common than what we disagree about," Atkinson said, comparing the new group to the EFDD, where she was previously seated. "We have more in common in this group than in EFDD”, she noted, adding that the 5-Star Movement and Ukip tend to vote against each other 80 percent of the time. Wilders also said that the ENF "will try to find consensus as much as possible”. “If not," he added, “we will choose according to our national interests". The National Front and the Dutch PVV party have formed a new far-right group in the European Parliament. French nationalist Marine Le Pen of the National Front said a decision by a court to lift her father's membership suspension is of "no importance". 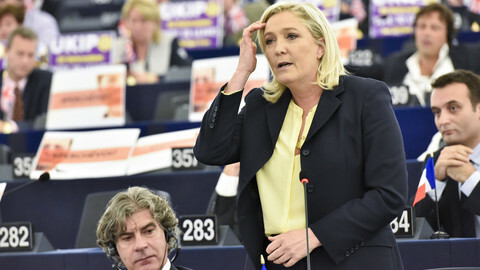 Marcel de Graaff, co-chair of the far-right Europe of Nations and Freedom group, is being accused of voting fraud after using Marine Le Pen's card. 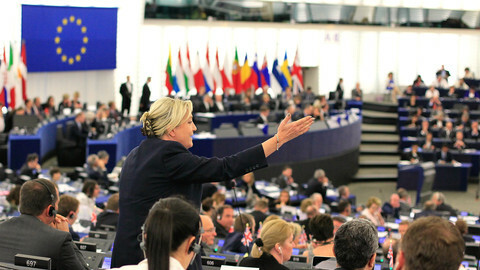 The French far-right leader will be asked to tell her version of why one or two MEPs voted on her behalf in October.